PHOTO CUTLINE: LLL&S MANAGING PARTNER GARY S. LESSER, ASSOCIATE GLENN E. SIEGEL AND PARTNER MICHAEL S. SMITH. 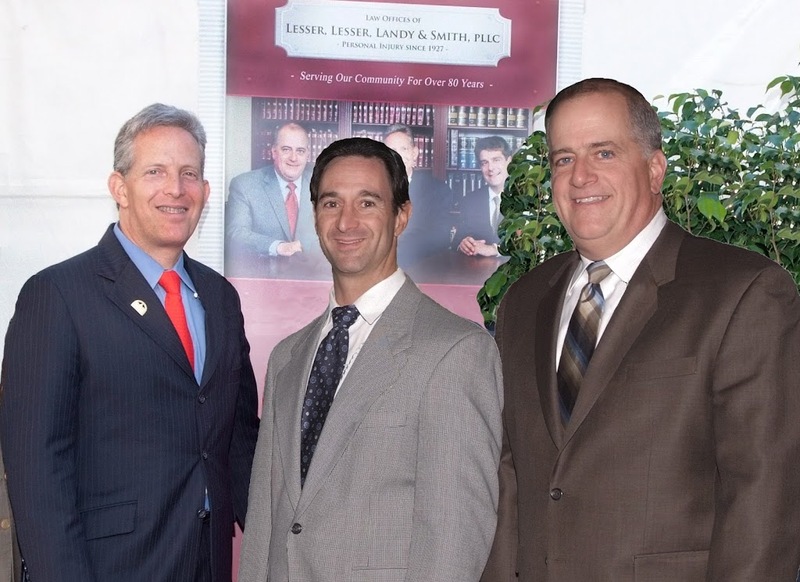 WEST PALM BEACH, FLA. (July 16, 2012) – Three attorneys at Lesser, Lesser, Landy & Smith, PLLC (LLL&S) headquartered in West Palm Beach with offices in Boca Raton and Stuart, have been recognized in the 2012 edition of Florida Trend’s Florida Legal Elite™. The list of 1,348 honorees, published in the July issue of Florida Trend magazine, includes attorneys in private practice as well as a separate list of top government and non-profit attorneys. LLL&S Managing Partner Gary S. Lesser (recognized for the 6th year and inducted in Florida Trend’s Legal Elite Hall of Fame for the third consecutive year), Partner Mickey S. Smith (recognized for the 4th year), and Associate Glenn E. Siegel (recognized for the 3rd year) were among the honorees recognized this year. The entire Legal Elitereport can be viewed at www.FloridaTrend.com/LegalElite. Lesser, Lesser, Landy & Smith, PLLC (LLL&S), the third oldest law firm in Palm Beach County, was established in 1927 by Joseph H. Lesser in West Palm Beach, and has been serving clients throughout Florida for more than 85 years focusing on serious personal injury and wrongful death cases. LLL&S enjoys a reputation in the community for superior legal skills, hard work, client service, and high ethical standards. All of the Firm partners and associates are “AV” rated by Martindale Hubbell, the highest rating in ethics and legal ability. LLL&S is very active in the community, and has donated significant time and financial support to numerous charities. The Firm has obtained significant settlements and verdicts over the years and is well known to insurance companies and insurance defense lawyers as skillful advocates. This experience and reputation allows the Firm to obtain the best possible results for its clients at its West Palm Beach, Stuart and Boca Raton offices. For more information, please call (561) 655-2028 or visit the Firm’s website at www.lesserlawfirm.com.